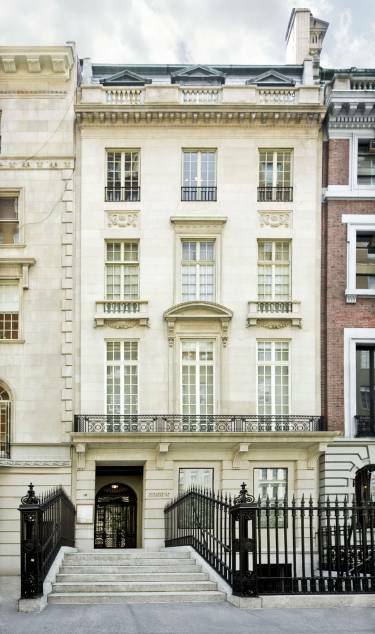 This 1908 Neoclassical mansion on Manhattan’s Upper East Side has been occupied by Acquavella Galleries since 1967. 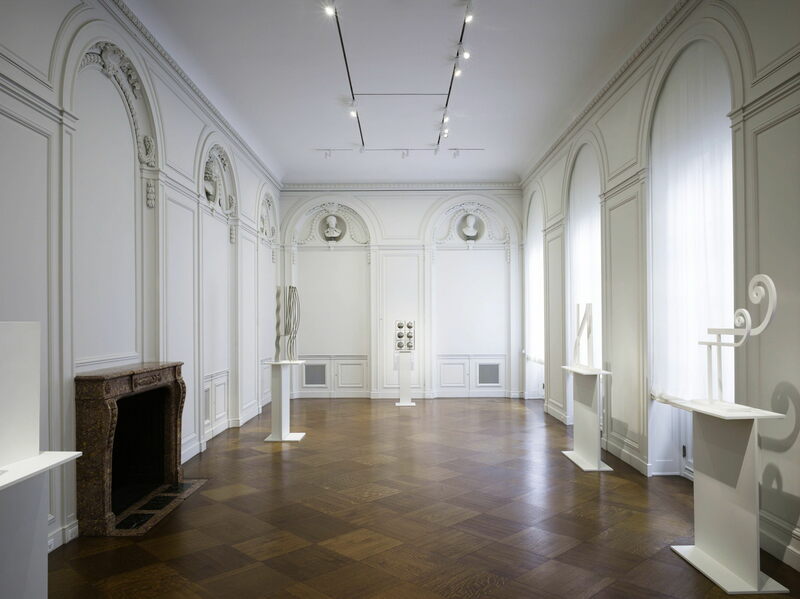 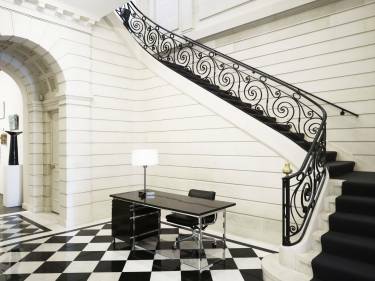 The building’s rich interiors, with limestone walls, black-and-white marble floors, wrought-iron railings, and carved-stone mantelpieces, provide a refined setting in which to exhibit major works of art from the 19th and 20th centuries. 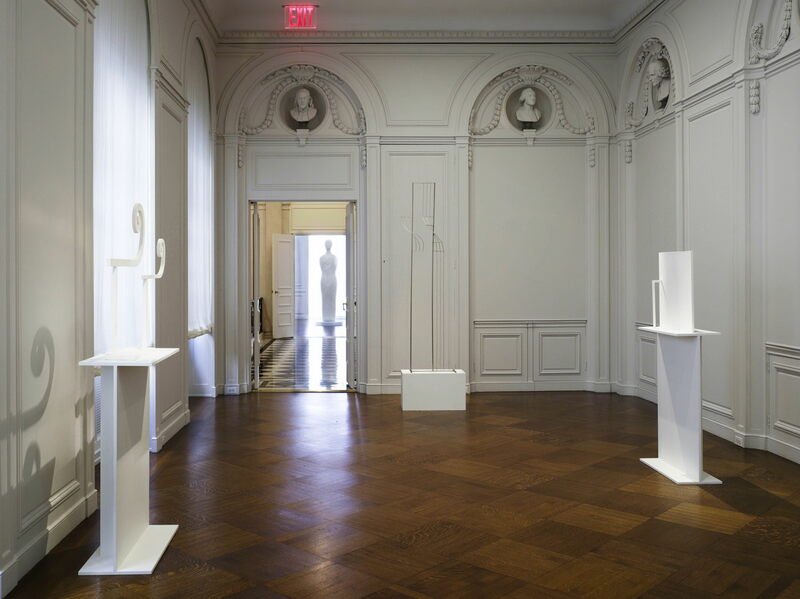 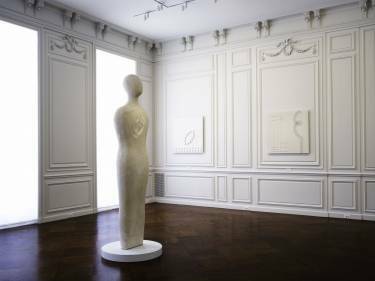 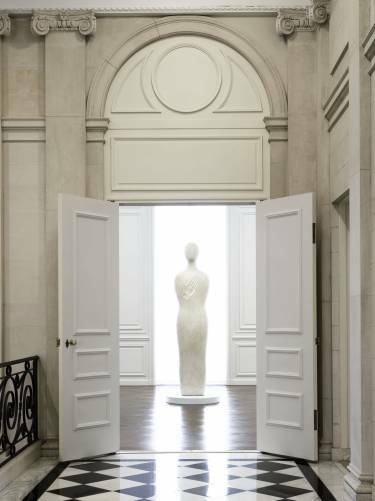 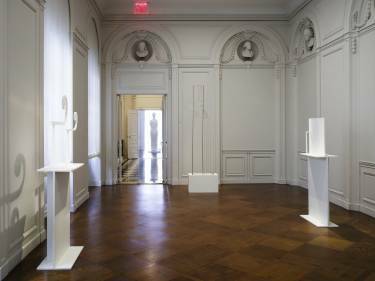 When the gallery began to showcase contemporary art, its leadership took the opportunity to restore the mansion’s original details and alter one of the rooms to accommodate the new period. 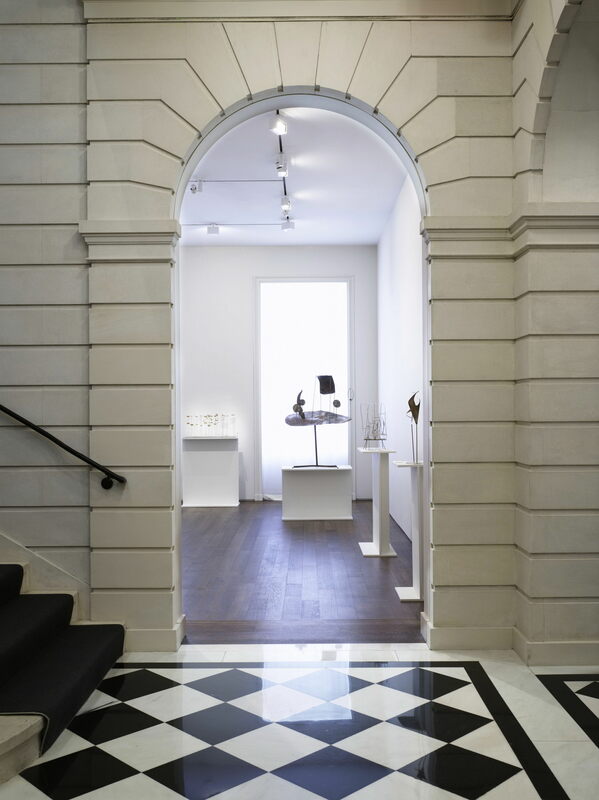 Careful renovation of existing elements, coupled with a minimalist design for the ground floor’s south gallery, and the insertion of state-of-the-art exhibition lighting has yielded an elegant juxtaposition of classical language and modern aesthetic.